Getting a home of our own comes as a great experience for all of us as our home is the most unique place we all like to be in. Our home is more of feelings to us as we spend our most special times with our near and dear in our homes. Therefore, we desire that our homes be perfect from all sides. There is one such opulent home that you would love owning in Mumbai! 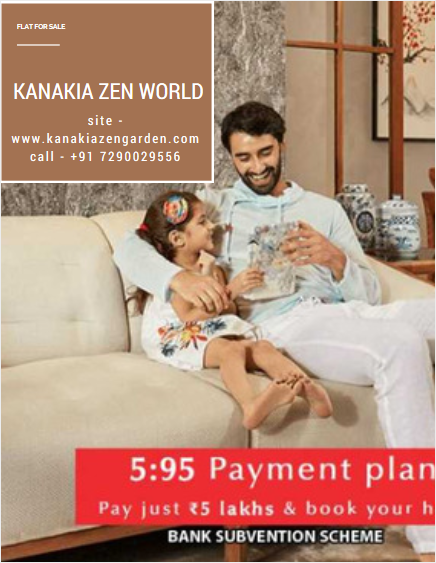 Kanakia Zen World located in Kanjurmarg is a swanky project providing the best of living experiences to home dwellers with its natural setting and lavish features.So, if you are thinking of buying a property in Mumbai, then you can consider this elegant and extravagant private project accompanying top-notch luxurious facilities and unique features. Stacked with all the superior and latest facilities, Kanakia Zen World Kanjurmarg comes out as one of the swanky residential developments designed for the highest satisfaction of the dwellers.Club house, meditation centre, swimming pool, gym, children play area, theatre, multipurpose hall, Wi-Fi connectivity, and others are some of the best services that you can enjoy while staying at this glamorous property. 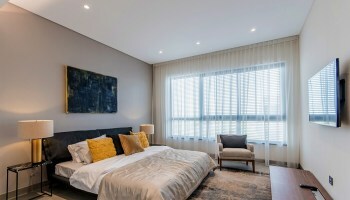 The interiors and the designing of the rooms have been done by well-skilled architects and designers to provide you with a life of contemporary genre. 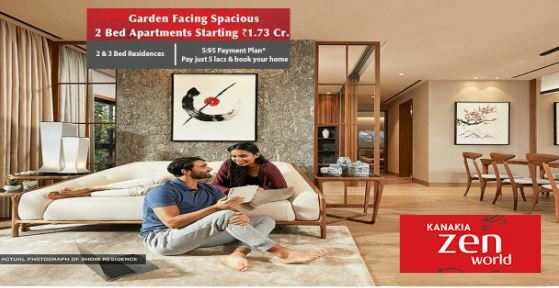 Developed over 2.5 acres of land by the KanakiaSpaces, the residential township offers you with fabulously crafted 1 BHK, 2 BHK and 3 BHK apartmentsof various configurations, the prices of which are set at Rs 89.90 – Rs 1.76 crores. Each apartment at the township is amazing in its own sense and has an artfulness that would attract all.